Author: Limon, Martin Set In . . . The Slicky Boys rule the back alleys of 1970s Seoul. They can kill a man in a thousand gruesome ways. And you’ll never even see them coming. In order to combat the poverty facing South Korea, they sneak onto well-stocked American military compounds to steal, murder anyone in their way, and vanish. 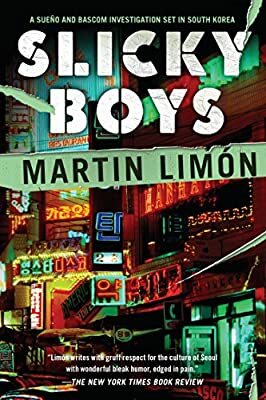 US Army Sergeant George Sueño and his partner, Ernie Bascom, take on the perilous mission of infiltrating this underground criminal syndicate when an innocent favor for an Itaewon bar girl leads to murder.